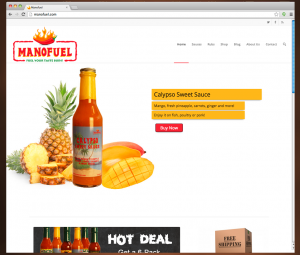 Manofuel is a Manchester, New Hampshire based company that specializes in homegrown, hand-crafted hot & sweet sauces and smoky rubs. Having found success regionally, Manofuel wanted to build a marketing website and full eCommerce solution to expose a vastly larger market to their products. Emerger Media worked with Manofuel to design their logo, create their custom website and build a full shopping cart solution to help them expand their customer base. Partnering with Emerger Media to introduce my handcrafted sauces and rubs to a greater audience has been a true pleasure. The website and shopping cart exceeded my wildest expectations. The team at Emerger Media listened to me, developed a true appreciation of my product and built us the perfect solution.